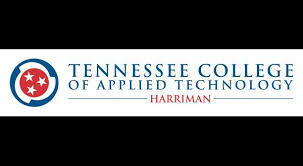 The mission of Tennessee College of Applied Technology Harriman is to provide high quality technical training to prepare individuals for lasting and rewarding employment, lifelong learning, and to upgrade skills of employed workers.Our full-time programs offer you the opportunity to attend school for short-term skills training in 12-20 months. The programs at the Tennessee College of Applied Technology Harriman are unique and different from the regular classroom setting.Students, with the exception of Practical Nursing, have classroom time during the day but the majority of the time is hands-on technical training. "Live work" projects and externships are a part of the curriculum in some of the programs. "Live work" projects are used to enhance the technical training of TCAT Harriman students. An example of a "live work" project would be repairing an automobile in the Automotive Technology lab. A small fee is charged for parts and services. Potential projects and services are open to students, staff and general public on a space available basis and also based on the training needed for the students. The instructors in the programs will determine the number of "live work" projects in their labs.